When Ian Fleming wrote about James Bond's looks it was very well drawn. James Bond's hight was little over six feet (183 cm) and his weight was around 167 pounds (76 kg). His body was in other words what you today would call slim. Also, Bond is described as dark, cruel and handsome and that woman find him irresistible. So in 1961 when Producers Albert Cubby Broccoli and Harry Saltzman were searching for there actor to play Bond they almost had a blueprint of what the man should look like. Both Cubby and Harry agreed to let Ian Fleming attend the meetings were James Bond and who he was was discussed and after one of these meetings Fleming send Cubby a fascinating memorandum on the matter. James Bond is a blunt instrument wielded by a Government Department. He is quiet, hard, ruthless, sardonic, fatalistic. In his relationships with women he shows the same qualities as he does in his job, but he has a certain gentleness with them and if they get in trouble he is sometimes prepared to sacrifice his life to rescue them. But not always, and certainly not if it interferes with his job. He likes gambling, golf and motorcars. In other words. Ian Flemings blueprint for James Bond was more or less a blueprint of himself. Cary Grant was the first actor to be asked to play James Bond but he turned it down. There second choice was James Mason but he was no fan of the Bond books. But Ian Fleming had his first choice for the role of James Bond and his name was strangely enough... Roger Moore. 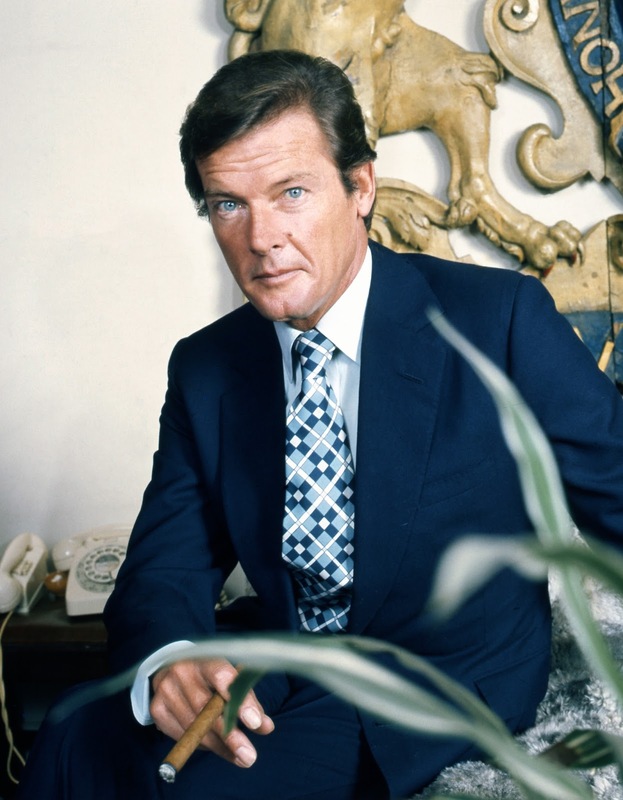 Roger Moore was 34 years old at the time and had actually not received world wide celebrity playing Simon Templer in The Saint. Cubby Broccoli did not want Roger Moore at that time. He thought Moore was to much of a gentlemen and not the kind of tough guy that they later found in Sean Connery. But 12 years later in 1973 Ian Fleming would get his wishes come true when Roger Moore played his first role as agent 007. Sadly he never got to see it since he himself passed away in 1964. 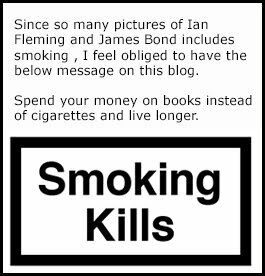 The facts for this blog post can be found in THE JAMES BOND ARCHIVES that you need to order here if you have not already done so.